The phenomenon of going through walls can be explained by a concept in Physics called quantum tunneling, through the use of terms like particles, atoms, energy, and barriers. Or it can be explained by a funny three-minute video produced by a 16-year-old from the state of Minas Gerais, who is for the third time running for the main prize in a global STEM award. The aforementioned teenager is Diogo Afonso Leitão, a high school student from a private school in Belo Horizonte. 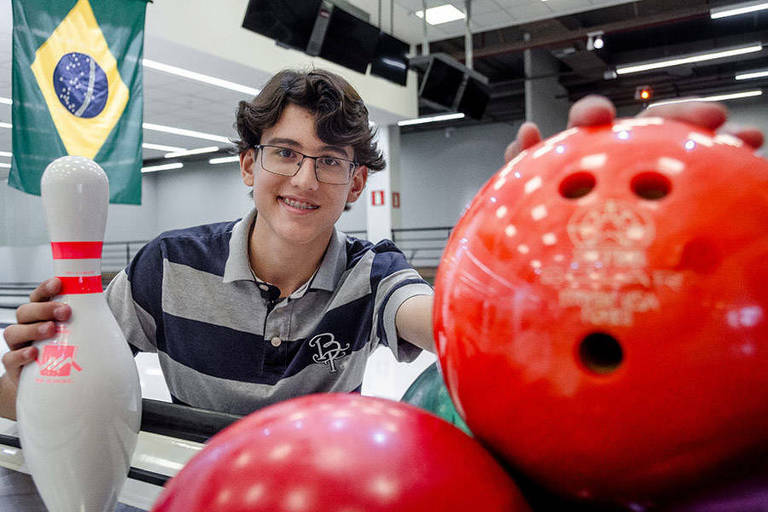 He resorted to bowling to explain the concept of quantum tunneling, and the endeavor turned him into one of the 16 finalists of the Breakthrough Junior Challenge. The prize drew 12,000 candidates ages 13 to 18, from 190 countries. "I have been studying the subject for three years. I spent two months editing the video, and the screenplay was built along that time. Each animation took a whole day," he said. Diogo loves the concept. "It's amazing to think that somehow it's possible to move across a barrier. Quantum physics has some incredible phenomena." To make his video, Diogo turned to specialized forums for help. "Sometimes, it was frustrating. The only place I had to ask questions was the forum, but the answers came with equations that I didn't know how to solve. I worked very hard on my script," he says. If he wins, Diogo will receive US$ 250,000 (more than RS 1 million). Another US$ 50,000 (R$ 205,000) is destined to the teacher who inspired the winner. The winner's school also receives a state-of-the-art science laboratory worth US$ 100,000 (about R$ 410,000).